The ArtsKC Regional Arts Council celebrated its 20th anniversary with its Annual Awards Luncheon on February 28. Nate Orr and Richard Wetzel served as co-chairmen for the event, which was held at the Kay Barnes Ballroom of the Kansas City Convention Center. 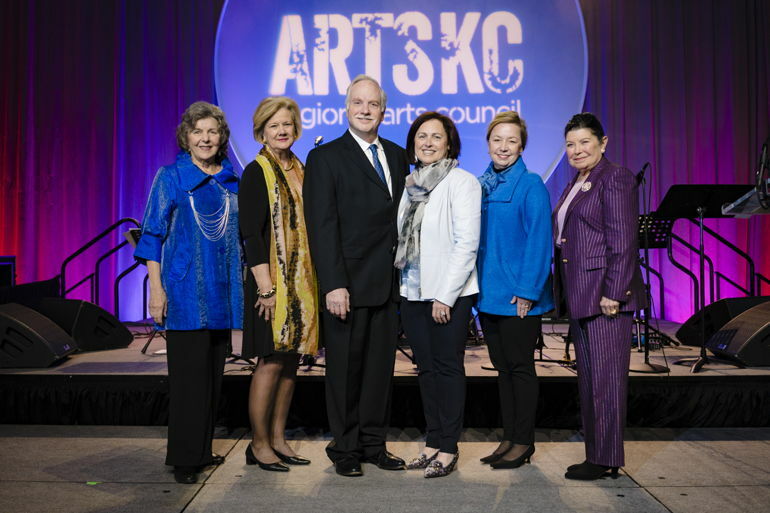 Shirley Bush Helzberg, Joan Israelite, Janice Kreamer, Henry Bloch, the Muriel McBrien Kauffman Foundation, and Artist INC, were honored for helping to advance the arts and the mission of ArtsKC.